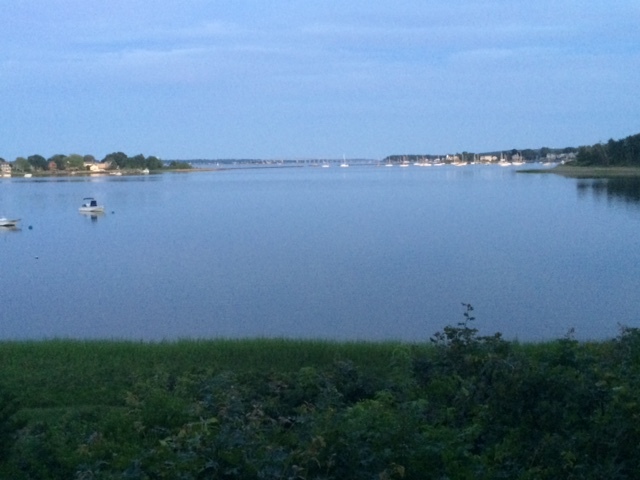 I enjoyed another fifteen miles of bucolic Southeast Massachusetts before landing – kerplunk – on the hot streets of East Providence, a hard surfaced Italian community bisected by I-195. The new pedestrian / bicycle bridge over the Seekonk River is a terrific addition and makes getting into Providence very easy. I pedaled through Federal Hill and Brown University. Brown caught a wave of publicity as few years ago, both positive and not so, when it addressed how the slave trade benefitted the university. 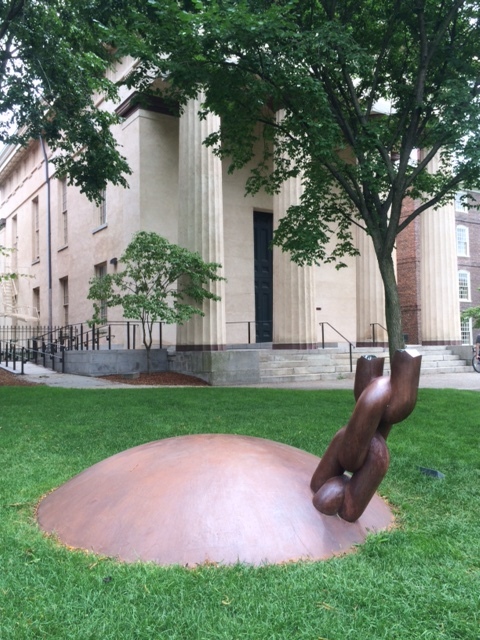 One upshot was the creation of the Center for the Study of Slavery and Justice. I contacted the group but, alas, academicians are pretty much gone in July. I did seek out the slave trade monument, which includes a tablet that describes Brown’s relationship to the slave trade. 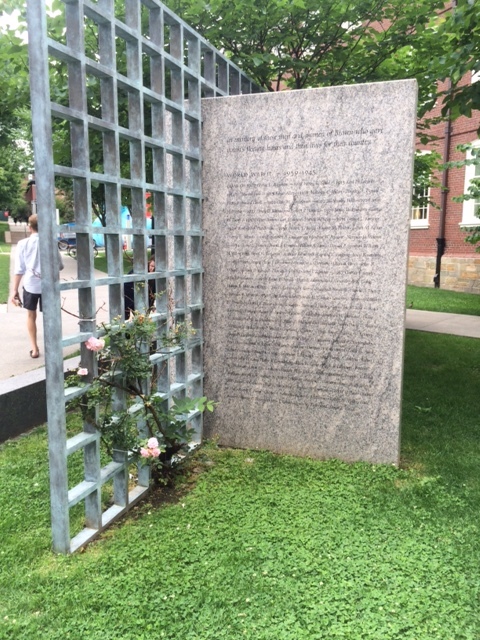 It concludes, “Brown University was a beneficiary of this trade.” I am not sure of the impact a monument like this has, but applaud its attempt to link past grievances with current reality. The university also has a simple, but very effective monument to alumni war dead. I liked that balance as well. None of the ‘official’ connections I tried to make in Providence panned out, so I spent the afternoon outside Serendipity Gourmet, where I met all kinds of locals, cafe style. 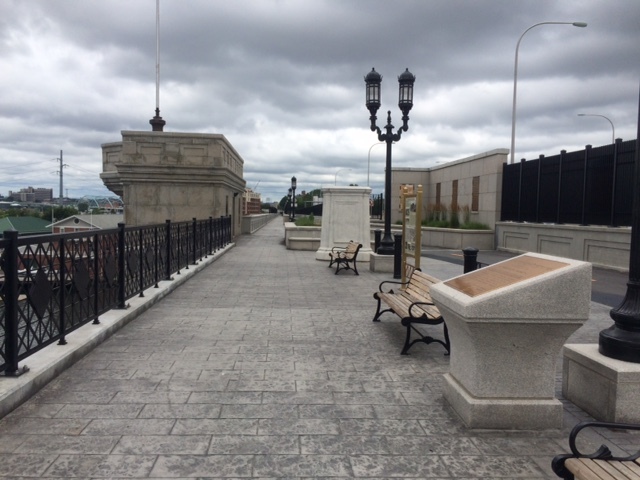 Providence is a livable city with a good urban feel. And lunch costs about half of what it would in Boston. There is a great bike path that leads out of town. I cycled most of the way with a friendly commuter. 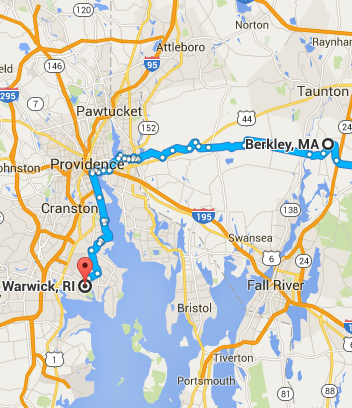 Then seven miles on US Route 1, which was not the most fun part o the day. It’s been more than a year since I was on US 1 in Maine. I imagine I will be on it many more times as I head down the East Coast. My host for the night, Sharon Pickering, lives in Wickford Point, a ‘New Urbanism’ development with charming houses that sit quite close and share amenities like a dock and beach. 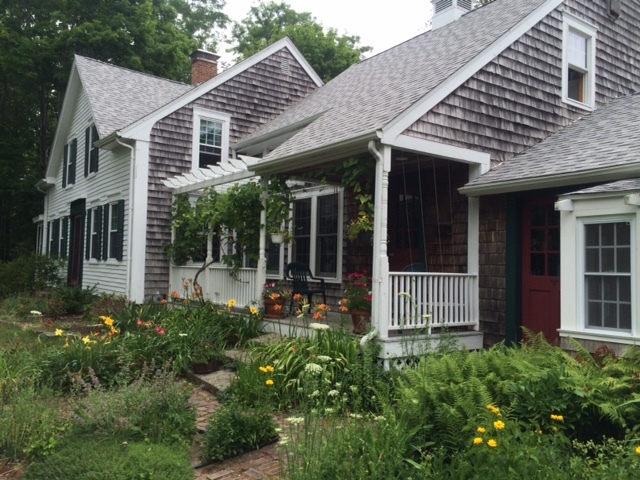 Sharon moved there from a big house on two acres in Massachusetts. I am always interested in people who choose to live closer to others. 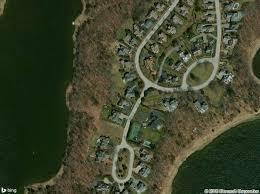 Wickford Point is hardly dense, but it is very well designed to support community while maintaining privacy.